Tropical Fruit Salad + Good Cook Pro-Freshionals Cut Fruit Bowl Giveaway! 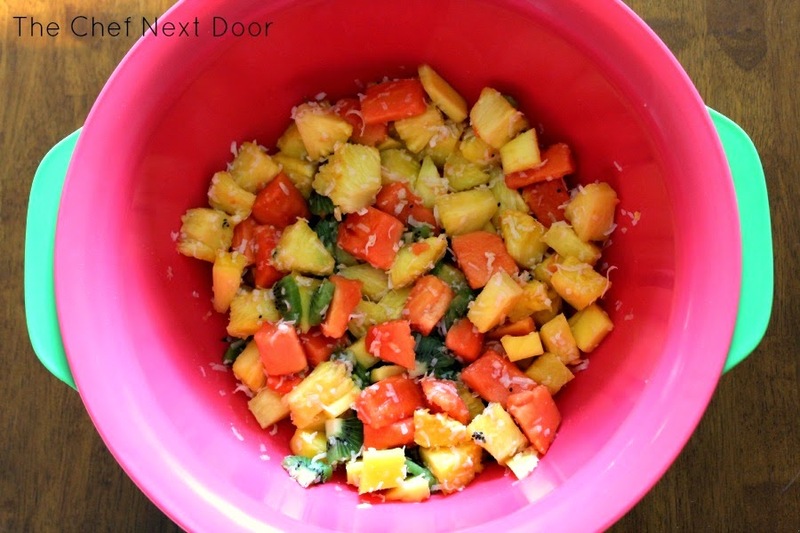 A fresh tropical fruit salad tossed with coconut makes a side dish worthy of any summer table! One of my favorite places to be in the summer is the farmers market. With fresh fruits and veggies in abundance, it's definitely my happy place. I mean, what's not to love? I'm fortunate enough to be a Good Cook blogger and they recently sent me their brand new Pro-Freshionals Cut Fruit Bowl to try and review. The bowl is exclusively available at Bed Bath and Beyond, and after using it I can say you definitely want to grab one for yourself! 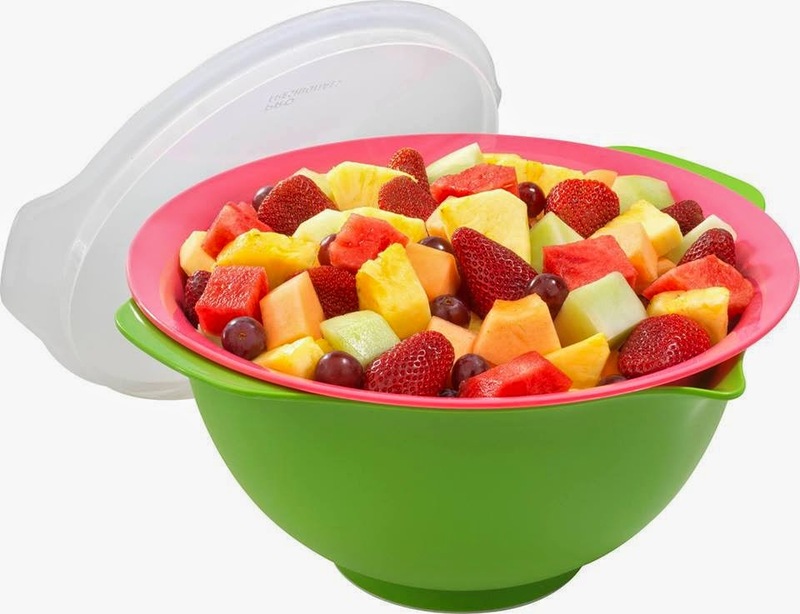 The Pro-Freshionals Cut Fruit Bowl comes in three pieces, a large outer bowl, a second bowl with a strainer, and a lid. 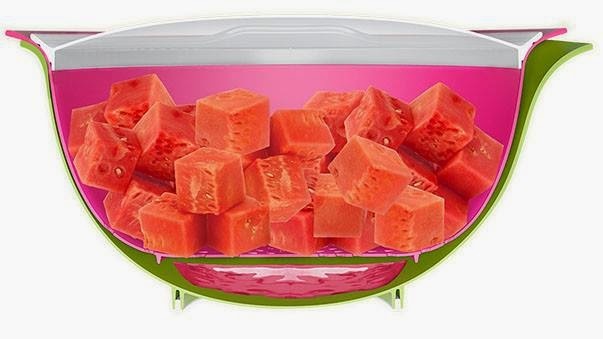 It's a huge bowl, 7 quarts to be exact, and can hold an entire cut up watermelon! The strainer actually sits above the main bowl, allowing all of the juices to drip down so the fruit doesn't get mushy or spoil. I decided to make a Tropical Fruit Salad this past weekend and it was absolutely amazing! 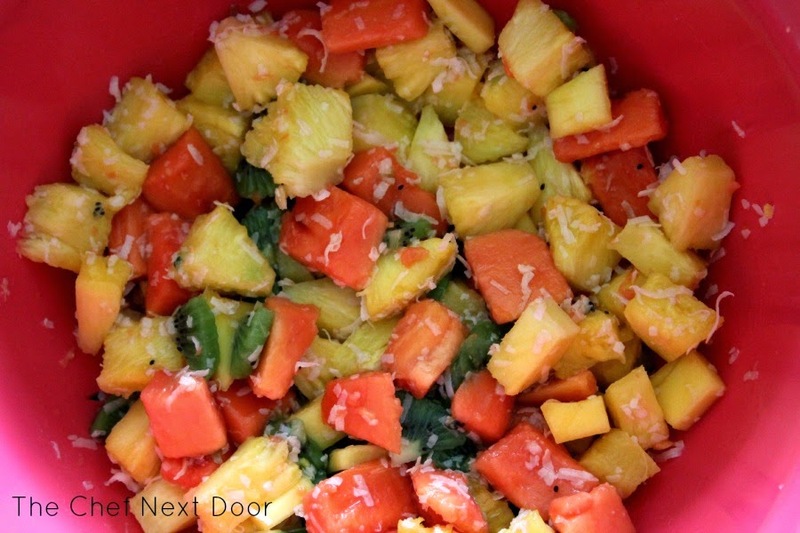 My favorite tropical fruits, tossed with sweetened coconut, makes such a fantastic side dish. It is incredibly easy to throw together too! I left my salad in the bowl and the juices from the fruits dripped down to the bottom. I even covered the salad and put it in the frig overnight, and it was still perfect the next day. Add all of the fresh fruits to the Cut Fruit Bowl and mix gently. Sprinkle the coconut over the top and mix to combine. Serve in small bowls or on small plates. This post was sponsored by Good Cook as part of their Bloggers program. I was sent this product for review at no charge. All opinions, as always, are my own.